St. Patrick’s Day is approaching, a day when those who are Irish celebrate the patron saint of Ireland and those who aren’t technically Irish express their appreciation for all things Irish. Green is worn, beer is had (for those 21+, of course) and sometimes a pinch here or there. Surely with so many celebrations and things to do around town, one feels the Luck of the Irish downtown at Avenida Houston. It doesn’t get any better than kayaking before dusk in Discovery Green&apos;s gorgeous water. Before the evening festivities begin, enjoy the serenity of the Kinder Lake and get a leisurely mid-day workout in with the kids. Once you&apos;re done, head over next door to for fun music and roller skating. For more information on rentals, check out the Kayak Rides and The Roller Rink at Discovery Green. Rain or shine, the Houston St. Patrick’s Day Parade rolls Downtown from the Clock Tower at Minute Maid Park on Texas St. and moves westward. This year’s theme is Houston Strong. Irish Proud. Bring your kids, wear your green and enjoy the parade. Adults can always wander on over to Lucky’s Pub for the awards ceremony and after party. For information on the parade click here. Sat., March 17 8 a.m. to 2 a.m. Downtown Houston will start the St. Patty’s celebrations at 8 a.m. with 94.5 The Buzz and Lucky’s Pub, hosting this year’s St. Patrick’s Day Festival. From leprechauns and bagpipers, to three stages of live music and green beer, this year’s festival will be one of the largest celebrations in town. An additional celebration will be held at Lucky’s Katy location starting at 10 a.m.
Saturday, March 17 from 3 p.m. – 9 p.m.
For the first time, St. Patrick’s Day Pub Crawls will be offered both Downtown near Avenida Houston. The pub crawl has nine participating bars in Downtown Houston. 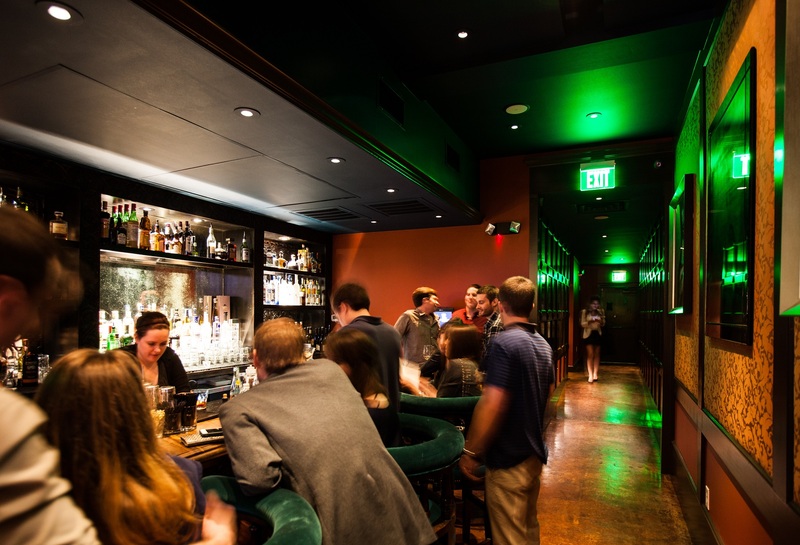 Pub crawl venues will be offering $3 green beer, $3 drinks and $3 shots. Crawlers start at the check-in point and are free to move bars at their own pace. Saturday, March 17 at 11 a.m. Celebrate St. Patrick’s Day with everyone at Saint Arnold Brewing Company. The celebration includes tons of live music, food and beer, with special stout beers being released throughout the day. In addition, Saint Arnold will be hosting the World Elevated Beer Pouring Championship and the Donegal Beer Growing Competition. Admission is free, to learn more click here.